With the ongoing Mule Deer rut taking place, this beautiful Mule Deer Buck stares down a competitor across the fields of Upper Beaver Meadows. 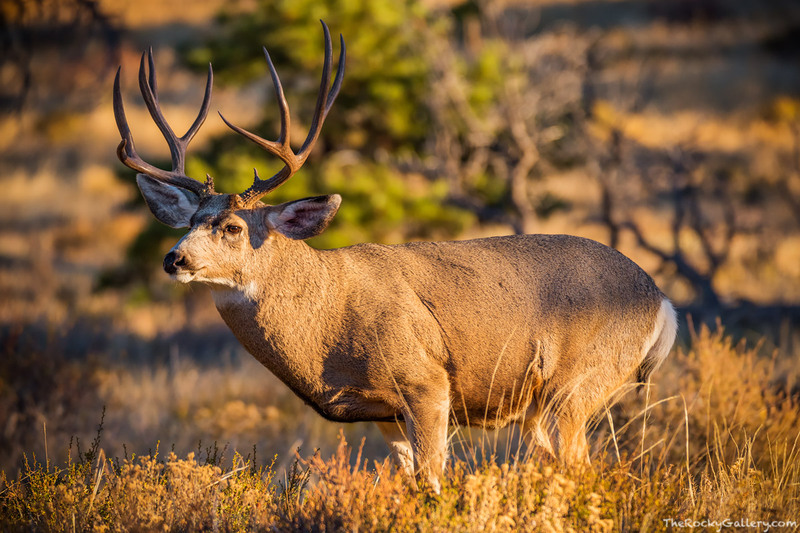 The Mule Deer rut typically starts in Rocky Mountain National Park in late October and early November. Some of these Mule Deer males can be quite impress in size and appearance this time of year. Photo © copyright by Thomas Mangan.